6,808,300,000 – The number of people living on this planet. 3,000,000,000 – The number of people living in poverty. Over thousand tribes exist on this planet, but no one knows how many tribal people live or how many die. It is disheartening to hear of someone you know pass away, but it is different to hear of someone, who is the last person of a tribe, to pass. The difference lies not just in knowing that a person – whom you never met or thought of – passed away, but in the very thought that the person was the last one to die. Something that makes my mind twitch. Survival and other media reported the passing away of the last member of a tribe from Andaman Island on January 26. 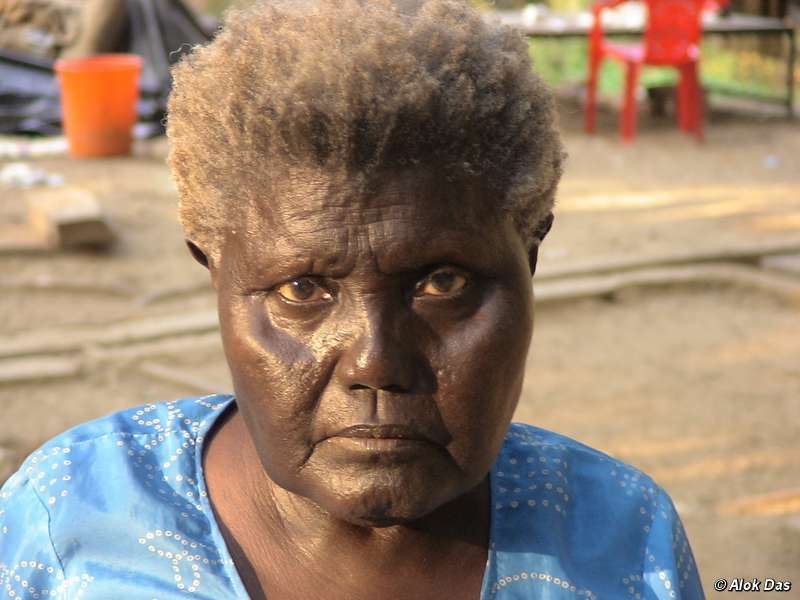 “Boa Sr, who died last week aged around 85, was the last speaker of ‘Bo’, one of the ten Great Andamanese languages”, quoted the article Extinct: Andaman tribe’s extermination complete as last member dies. A rush of cold chills raced down my spine. Tribes have gone extinct before, and will do in future, but the extinction of this Andamanese tribe, a result of the tsunamis, hit me hard. It maybe because the aftermath of tsunami-struck Andaman was all over the news, something that made our hearts pound, but it was the song sung by Boa Sr that tinkled my mind. I became lost in that deep, sad, elder voice which is now lost, and along with it is gone the precious wisdom – wisdom of culture, of song, of dance, of living and survival. Death is real, something we all have to deal with, but it is different to deal with living when you know you are the last person alive. It is not the fact that you are going to die that matters. What matters is that you are alive, the lone survivor. “Since she was the only speaker of Bo she was very lonely as she had no one to converse with…” said Linguist Prof. Anvita Abbi, as quoted in the article. Boa Sr is one of the many tribal people whose life was turned upside down due to the earthquake off the west coast of Sumatra, Indonesia. It was the second largest earthquake recorded in history, with a magnitude of 9.1 to 9.3, and had the longest duration of faulting ever observed – between 8.3 to 10 minutes. The 100 feet tsunamis created as a result of the earthquake crashed on the islands in the Bay of Bengal. It is estimated that about 230,000 lost their lives, many lost to the sea. I cannot imagine what went through Boa Sr’s mind, but her picture speaks louder than words. We may have lost one of the true earthlings to the sheer force of nature, but it does not mean that they failed to survive. Boa Sr and her tribe were the true survivors of the modern era. They had no needs and wants. They did not ask for roads and concrete. They choose the woods and the sands. They choose life above all other demands. In Boa’s eyes I see a plethora of knowledge, of things we will never learn of ever. I see beliefs, lost and long gone from the face of our planet. “We were all there when the earthquake came. The eldest told us ‘the Earth would part, don’t run away or move.’ The elders told us, that’s how we know”, said Boa Sr to the linguist, as quoted in the article. Boa Sr opened to me a school of thoughts. I am curious than ever to learn more about human kind, and where we stand in the battle for survival – called Survival of the Fittest. The phrase was coined by Herbert Spencer, an English philosopher. After reading Origin of Species by Charles Darwin, he believed that “natural selection” principle could also be applied equally well to human societies. When it comes to survival, first thing that comes to my mind is evolution, since all the organisms evolve and thereby survive better. It is proved that humans are climbing the ladder of evolution, going farther from devolution, as the article on Are Humans still Evolving? says, “Human evolution hasn’t ground to a halt. In fact, we are likely to evolve at roughly the same rates as other living things…” The study was conducted specifically on human health related traits. What it misses out is that human evolution, unlike most other animals, is not merely about health, although health is one of the top three most important factors that affect evolution. It is true that when early explorers contacted the tribes, they brought epidemic diseases – unknown to the tribes – into their lives, which lead to countless deaths of the tribal communities. Today, deforestation and mining has lead to loss of tribal health as well as their homes across the world. I do not understand how survival of the fittest theory fits this model of development. If I see human evolution as mere “natural selection”, albeit whichever part of the world you live in, I find us to be as susceptible to a natural calamities as any other animal. Boa Sr and many other tribes of Andaman, along with the rich coral biodiversity that became extinct are the best example I could think of. “Survival of the Fittest”, derived from the very “natural selection” theory, encompasses various other characters that distinguish us as humans. It is about the evolution of civilizations and nations, fall of which may lead to extinction – whether the reason behind is wars or natural calamities. Therefore thinking of Survival of the Fittest in human society is far more complex than I previously thought. It is not a battle (to survive), yet it cannot be avoided. I have always been inspired by conservationists, and do my little part as much as possible, but I never heeded that conservation is not merely about saving the forests and animals. It is about saving homes that also belong to our own species. Boa Sr’s news made me realize that we were once a part of the planet. We lived by the rules of nature, but now we amend them. We are not surviving anymore; we are merely breeding, growing larger and becoming oblivious to the world outside. We may have left the rat-race of survival decades ago, but it is the tribal people that still survive out there, who identify this planet as their mother and not a mere resource. We may consider modern amenities and luxury as a means of living, but put one of us in the shoes of the tribal people, and we will learn where we stand. We not only lack the sense of understanding their beliefs, but also their knowledge on nature and her ways. I was reminded of Jared Diamond's popular book: Guns, Germs and Steel which looks at evolution of civilizations. Its a good and relevant (to your post) read. Thank you for stopping by, Jbor. I will certainly check the book out! Thanks again!